You are sharing the services of the First Baptist Church in Dallas. This is the pastor bringing the evening message entitled The Heart to Care; the sympathizing Jesus; the compassionate Jesus. 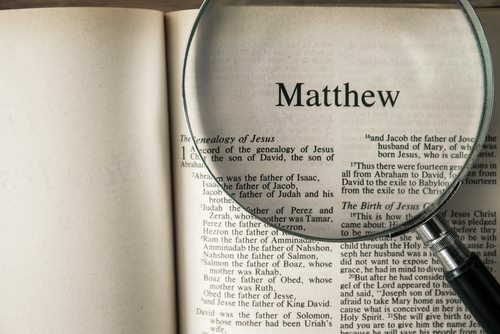 Turn with us in your Bible to Matthew chapter 9; the ninth chapter of the First Gospel, Matthew. The decline of the Roman Empire was one of the phenomenal turns of human history. It was the last and the greatest empire in the world. In the vision of Daniel, he saw a great image of a man. And the head was of gold, a picture of the golden empire of Nebuchadnezzar [Daniel 2:32, 38], the Babylonian Empire [Daniel 2:32, 39]. The breast and the arms were of silver, the Medo-Persian Empire. The thighs were of brass, a picture of the Greek Empire, the Hellenistic Empire of Alexander the Great [Daniel 2:32, 39]. And the two legs were of iron, a picture of the strongest and the greatest and the last of the world empires, that of Rome [Daniel 2:33, 40]. And as Rome progressed in law, in order, in conquest, it also grew in wealth, and in riches, and in affluence, and in the accumulation of all of those things by which a nation glories in its power and in its strength. And as the republic changed into an empire, and the Caesars and their successors began to add to the glory and the grandeur of Rome, the people became more effeminate and effete in their lives. They were fed and taken care of by the largess of the succession and series of emperors. Consequently, living in a teeming city, and with nothing to do except to receive alms from the reigning monarch, they had to be satiated with some kind of entertainment. And as the emperors vied with one another in entertaining that vast teeming populous, it became more bloody, and more gory, and more and more full of anguish and terror. One of those emperors built the Circus Maximus. It held two hundred thousand people. And the chariot races––I don’t think in all Hollywood there has ever been anything like Ben Hur and its chariot race. It was a bloody spectacle, as you well know, in that Circus Maximus, crowded with two hundred thousand people, those racing chariots ground one another to death and dragged the charioteers to a bloody pulp. And those two hundred thousand spectators watched it, and cheered it, and gloried in the gory destruction and murder of the drivers of the horses. But that was not enough! And finally in 80 AD, they constructed in the heart of the Roman Forum the Roman Coliseum; a great circular arcade, with its tier upon tier upon tier, seating fifty thousand people. And at first the Roman populous seemed to be happy with the fighting of wild beasts. And these who searched, hunting parties, scoured the entire world to bring Namibian lions and Bengal tigers and bulls from Bashan. From the ends of the earth they brought vile and vicious animals to fight one another there in the Coliseum. But that was not enough! Finally, the blood thirsty masses demanded the blood of human gladiators. And there on the sands of the Coliseum, with those tiered Romans, up, and up, and up, shouting for the blood of the contestants, there would be a gladiator in armor with his shield and with his short sword. And his opponent would be a naked man with a trident, you’d call it a three-pronged pitchfork, and with a net in his hand. And with his net he tried to ensnare his opponent with the shield and the short sword, and with his long trident he would seek to destroy his life. And those two would fight one another until both or either were slain. Then that was not enough and they poured in gladiators to fight one another to the death. And day by day by day, the Roman populous increasingly lived upon blood, and violence, and murder! Whoever could create the heart to make the beholding of such a spectacle as that impossible, the future will belong to that force that could create that heart. Wherever in this earth there could be born that spirit and that compassion that would make it impossible to look upon such blood and such gore, the future—said the philosopher—will belong to the force that could create that heart and that compassion. The day came when it was against law to crucify a felon, the Roman means of execution. And the day came when that Coliseum was closed down and no longer did gladiators fight one another to the death. Where’d that come from? The compassion, the love, the sympathy that made it impossible for men to look upon such violence and such bloodshed; it came from this simple sentence. “And Jesus went about all the cities and the villages, teaching and preaching and healing. And when He saw the multitudes, He was moved with compassion on them, for they were as sheep having no shepherd” [Matthew 9:35-36]. That’s one of the miraculous phenomenal developments of history; that out of the simple and humble ministries of that despised Galilean came the subservient of the whole Roman Empire and its love for blood and violence. The heart to care, the compassion of the sympathizing Jesus; when I think of Him, I think of Him in those terms. My mental image of Jesus is that, preaching the gospel at Capernaum [Mark 1:21-22]. “I must preach the gospel to other cities and to other villages” [Mark 1:37-38]. And when the mothers brought little babies to Him that He might hold them in his arms and bless them, the disciples rebuked the mothers, “The Master has not time for such.” And the Lord answers “Leave them alone. Suffer the little children to come unto Me; forbid them not: of such is the kingdom of heaven” [Mark 10:13-14]. Or when the five thousand on the other side of the sea, in a desert place, were hungry, the disciples said, “Send them away. Send them away.” And the Lord said, “No, lest they faint by the way [Mark 8:3]; feed them, feed them” [Luke 9:10-14]. When blind Bartimeus cried out, “Lord, Son of David, hear, have mercy on me,” all of his friends said, “Hush, hush!” But the Book says he cried out all the louder, “Thou Son of David, have mercy on me.” And the Lord stopped and said, “Bring him. Bring him,” and He opened his blind eyes [Mark 10:46-52]. And when the soldiers crucified Him on the cross, and He was dying, He did, among other things, two that were precious. One: He saw His mother, standing by the cross, and said to John the beloved disciple, “Son, behold thy mother, and from that day, John took her to his own home” [John 19:25-27]. And the other of compassion: one of those malefactors turned and said, “Lord, when Thou comest into Thy kingdom, remember me, remember me”; and the Lord replied, “Verily, truly, I say unto thee, Today shalt thou be with Me in Paradise” [Luke 23:42-43]. And when the Lord entered into glory, He entered not alone but arm in arm with a convert, a felon saved. That’s Jesus. And did these who knew Him, and saw Him, and heard Him, did they respond? Oh, how they did, how they did! The stories read, “And He was so thronged on every side that this poor woman who was sick said, If I can but touch the hem of His garment, I will be saved” [Matthew 9:20-21]. So thronged was He on every side that these four who bore the palsied man had to come on top of the house and break up the roof to let him down at the feet of Jesus [Mark 2:1-5]. Even His enemies, when Jesus stood at the tomb of Lazarus and wept, even His enemies said, “Behold, how He loved him!” [John 11:35-36]. The response of the people was almost illimitable and indescribable. And that is not true alone, just with the Savior. The heart to care, the spirit of sympathy, of interest, brings a like response from anybody; an infidel, a blasphemer, an atheist. It is almost impossible for a man, however vile he is, to trample underfoot the word of grace, and the gesture of love, and the heart of sympathy and kindness. My dear people, I’m just preaching tonight that the ministry of the church is as broad in its outreach as our hearts will direct, will open. Just as many people as we will put our arms around will respond. It isn’t their hardness. It is our lethargy. It is our indifference. For there are no people who are not sensitive to the love, and care, and interest, and prayers of somebody else who regards them, who sees them, who would love them, invite them, care for them. There are no people who do not respond. They don’t exist. Did you know, in reading the life of Charles Darwin, I came across this. Charles Darwin, in that trip in the Beagle, the name of his ship by which he went around the world, Charles Darwin finally landed at the tip of South America, and there is a country at the extreme tip of South America that is called Tierra del Fuego. And when Charles Darwin visited that country, Tierra del Fuego, he found a tribe of people so degraded and so, he said, without moral distinction, that Charles Darwin announced to the world that he had found the missing link between man and the animal, and he named them. That group are so degraded and so without moral capabilities that they are the link, he said, Charles Darwin did, between man and animal. They’re neither man and they’re neither animal; they’re the link in between. There was a godly man in England by the name of Captain Allen Gardiner; and when he heard that Charles Darwin had announced that to the world, that those Tierra del Fuegans were so low and degraded they were without moral capabilities, when that Christian man heard that, he organized in 1841 the South American Missionary Society, and gathered up funds to go down to South America to minister and to preach the gospel to those degraded people. In 1851 Captain Gardiner and his party slowly starved to death because a supply ship that was supposed to arrive never came. But when the world heard about it, and the work that they had done, it set fire to the imagination of the whole civilized world. And they began to find funds from every country, and every city, and every Christian group. And missionaries poured into that South American country, down there at the tip toward the South Pole. And so great was the work and so marvelously were those people converted and lifted up God-ward, until Charles Darwin himself became one of the faithful and regular contributors to the missionary effort in Tierra del Fuego. And those people that he said were without moral distinction, that they were so degraded that they were animals, they became fine, and noble, and exemplary Christians. There are no people, however vile, or blasphemous, or hard, there are no people beyond the pale of God’s love and mercy and grace. It is just God needs a mediator. God needs somebody, moved with compassion, to love them, to pray for them, to woo them into the kingdom of our Savior. Don’t you have little things like this that come to your heart, just little old things? Driving to church tonight, I saw a man and his wife in a car. They were leisurely going down the street. And I drove by their side and as I’d stop at this light, I’d look at him. And as I’d stop at this light, I’d look at him again. And driving along, I’d look over there at him. He was dressed in sport clothing. Most manifestly this was the Lord’s Day, which for him was a day of pleasure, and recreation, and forgetfulness. He wasn’t on his way to church. This was a holiday for him. And you know, as I drove along and looked at him, I thought in my heart, however indifferent that man may be, and is, and however to him God’s day is a holiday, if there were somebody who loved him, and befriended him, and opened their hearts toward him, and wooed him, did you know, he’d be dressed up right now, and he’d be seated in church right now, by the side of that somebody who would take time to reach him for Jesus. And I think of the children, and I think of the teenagers, and I think of the young people, and I think of the young married couples, and I think of the families, and I think of the homes. They are multitudinous in this great city of Dallas. And there is hardly any of them but that could be won to Jesus and won to a life of spiritual dedication, if there were just somebody to love, and to care, and to pray, moved with compassion [Matthew 9:36]. O Lord, these hands, this heart, these feet, this life, O God, take me and help me, Lord, as far as my prayers can reach, and the influence of the shadow of my life could fall, Lord, use it for these who need Thee. And joining hands with a multitude of prayer partners and yokefellows, O God, help us as we mediate the love, and grace, and mercy of Jesus to our children, and to our teenagers, and to our young people, and to our young married couples, and to these families and homes. O God, bless us as we pour out our hearts and prayers for them and for Thee. There’s a place for you. Bless you as you find it and give yourself to it. Now, Mrs. Forester, I want you to play on the organ some sweet hymn. Play on the organ some sweet hymn. And all of us for this moment are going to remain seated. And while the organist plays some sweet hymn of dedication, all of you boys and girls who reconsecrated your life out at the camp, you want to come forward, I know, and you want before men and angels to express that dedication of your life. You come when the organ begins to play. And there is an altar rail. There’s a prayer rail in this church from one side to the other, you come fill it up. Over here, over here, over here, you come and you kneel there. You bow your head. You close your eyes. You kneel there and we’ll have a prayer of consecration and commitment together. Then you can go back to your seats. Then all of us are going to stand and sing a hymn of appeal, “Savior, Like a Shepherd Lead Us.” And while we sing that hymn, somebody to take Jesus as his Savior [Romans 10:9-10], you come and give me your hand, and tell me, “Pastor, tonight, I publicly give my heart to Jesus.” Somebody to put his life in the fellowship of the church, however God shall whisper in your heart the appeal, you come. The decline of the Roman Empire was one of the phenomenal turns of human history. It was the last and the greatest empire in the world. In the vision of Daniel, he saw a great image of a man. And the head was of gold, a picture of the golden empire of Nebuchadnezzar [Daniel 2:32, 38], the Babylonian Empire. The breast and the arms were of silver, the Medo-Persian Empire. The thighs were of brass, a picture of the Greek Empire, the Hellenistic Empire of Alexander the Great. And the two legs were of iron, a picture of the strongest and the greatest and the last of the world empires, that of Rome [Daniel 2:31-34]. One of those emperors built the Circus Maximus. It held two hundred thousand people. And the chariot races – – I don’t think in all Hollywood there has ever been anything like Ben Hur and its chariot race. It was a bloody spectacle, as you well know, in that Circus Maximus, crowded with two hundred thousand people, those racing chariots ground one another to death and dragged the charioteers to a bloody pulp. And those two hundred thousand spectators watched it, and cheered it, and gloried in the gory destruction and murder of the drivers of the horses. Whoever could create the heart to make the beholding of such a spectacle as that impossible, the future will belong to that force that could create that heart. Wherever in this earth there could be born that spirit and that compassion that would make it impossible to look upon such blood and such gore, the future – said the philosopher – will belong to the force that could create that heart and that compassion. That’s one of the miraculous phenomenal developments of history; that out of the simple and humble ministries of that despised Galilean came the subservient of the whole Roman Empire and its love for blood and violence. The heart to care, the compassion of the sympathizing Jesus; when I think of Him, I think of Him in those terms. My mental image of Jesus is that, preaching the gospel at Capernaum. “I must preach the gospel to other cities and to other villages” [Mark 1:38]. And when the mothers brought little babies to Him that He might hold them in his arms and bless them, the disciples rebuked the mothers, “The Master has not time for such.” And the Lord answers “Leave them alone. Suffer the little children to come unto Me; forbid them not: of such is the kingdom of heaven” [Mark 10:14]. Or when the five thousand on the other side of the sea, in a desert place, were hungry, the disciples said, “Send them away. Send them away.” And the Lord said, “No, lest they faint by the way; feed them, feed them” [Luke 9:12-13]. When blind Bartimeus cried out, “Lord, Son of David, hear, have mercy on me,” all of his friends said, “Hush, hush!” But the Book says he cried out all the louder, “Thou Son of David, have mercy on me.” And the Lord stopped and said, “Bring him. Bring him,” and He opened his blind eyes [Mark 10:46-52]. And when the soldiers crucified Him on the cross, and He was dying, He did, among other things, two that were precious. One: He saw his mother, standing by the cross, and said to John the beloved disciple, “Son, behold thy mother, and from that day, John took her into his own home” [John 19:25-27]. And another of compassion: one of those malefactors turned and said, “Lord, when Thou comest into Thy kingdom, remember me, remember me”; and the Lord replied, “Verily, truly, I say unto thee, Today shalt thou be with Me in Paradise” [Luke 23:42-43]. And when the Lord entered into glory, He entered not alone but arm in arm with a convert, a felon saved. That’s Jesus. And I think of the children, and I think of the teenagers, and I think of the young people, and I think of the young married couples, and I think of the families, and I think of the homes. They are multitudinous in this great city of Dallas. And there is hardly any of them but that could be won to Jesus and won to a life of spiritual dedication, if there were just somebody to love, and to care, and to pray, moved with compassion. Then all of us are going to stand and sing a hymn of appeal, “Savior, Like a Shepherd Lead Us.” And while we sing that hymn, somebody to take Jesus as his Savior, you come and give me your hand, and tell me, “Pastor, tonight, I publicly give my heart to Jesus.” Somebody to put his life in the fellowship of the church, however God shall whisper in your heart the appeal, you come. B. The day came when crucifixion was outlawed, Coliseum closed – why?